If you have a sweet tooth, you know it can be difficult to avoid sugary foods like pastries, candy, or even soda. Which sugary food is your weakness? Researchers have proven that sugar is a key contributor to weight gain. But how? Well, sugar is made up of two molecules: glucose and fructose. Glucose is what your body uses for energy. Fructose, on the other hand, is a molecule that your liver turns to fat and is a key contributor to weight gain and disease. When you eat carbohydrates/sugar, it causes your blood glucose to rise, which can be toxic if it is in large amounts. So your body produces insulin to get the glucose out of your blood and into the cells to be used for energy. Over time, when your body is chronically and your body can actually build a resistance to insulin which means that your pancreas works harder to create the same balance. When the resistance to insulin reaches a critical point, it can result in type II diabetes. But first, your body begins storing an overabundance of fat in your fat cells. The worst part? Not only do you start “gaining weight” but your body has a tough time getting the energy out of the fat cells, which means your brain thinks you are hungry, and you eat even more. What a vicious cycle! Excess sugar can lead to cardiovascular disease, type 2 diabetes, and weight gain. Eating sugary foods can result in your body storing away more fat. Sugar can trick your brain into thinking it’s still hungry (even after you’ve eaten a full meal). By drastically reducing the carbohydrate intake, the body reduces its production of insulin. Body fat is then highly mobilized for energy production (yay fat burning!). 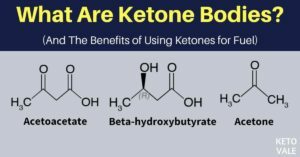 But the key players here are another less well known fuel source – KETONES. 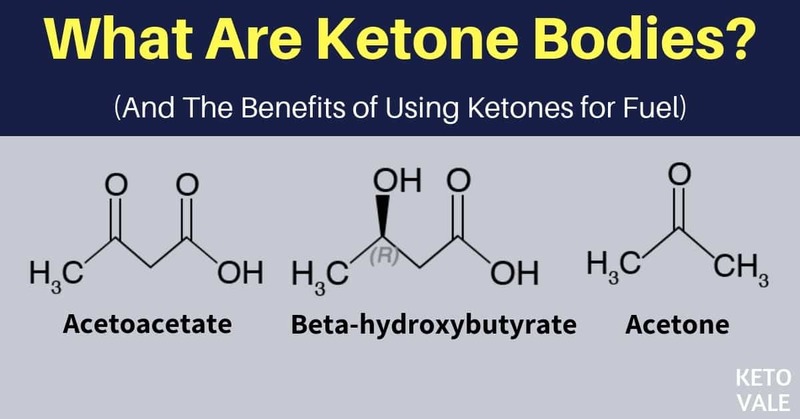 Ketones are a metabolite that the brain and body can use as an efficient energy fuel source. Ketones are a type of fuel produced by the liver. Getting the liver to produce ketones is challenging unless you are able to cut out carbs almost entirely. It may take a few days to actually get into ketosis and you have to watch the quantity of protein you are eating as well. So how do you follow the keto diet? Ketogenic diets rely on a large intake of fat. Eating fat at every meal is essential. 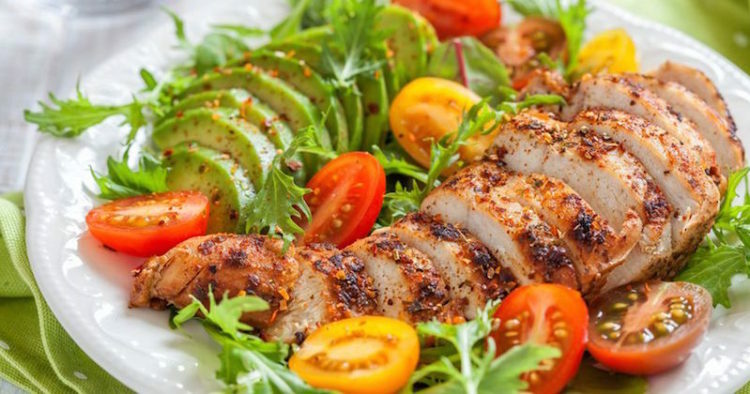 In a typical 2000 calorie per day diet, one might strive for 165 grams of fat, 75 grams of protein and 40 grams of carbohydrates. OK, OK – stay with me. Eating quality fats is advantageous for many reasons. Once vilified for its supposed negative effects on cardiovascular disease, fats are not all equal. In the ketogenic diet, saturated fats (lard, coconut, palm, butter and cocoa butter) are consumed in high quantities. Unsaturated fats like almonds, walnuts, avocados are all great too. Trans fats like hydrogenated oils are definitely out. These are the ones highly connected with inflammation and disease. Carbohydrate source like low glycemic vegetables like leafy greens (spinach, chard, etc), broccoli, cauliflower, brussel sprouts, asparagus, pepper, garlic, etc are amazing choices. Fruit is allowed but restricted to low glycemic types like berries and only in small amounts. There are some inherent risks with the diet that require you to pay attention to. Liver and Kidney problems. By consuming large amounts of fat and protein, any existing liver or kidney problems may worsen. Constipation. Cutting out lots of fibrous foods can shut down your digestion. It’s important to maintain good electrolyte levels. Consider adding salt to drinking water to avoid problems. Mental Health. Cutting out carbs can can cause ‘fuzzy’ brain and mood swings. While these typically only occur at the beginning, many people report higher levels of mental clarity once they achieve ketosis. Nutrient Deficiency. Maintaining adequate nutrient intake is paramount to human health. Consuming large levels of a variety of vegetables is critical to maintaining proper nutritional mineral and vitamin levels. Staying fit and healthy can be challenging, but we’re here for you. How you choose to eat is one of the most important aspects of living a healthy life. When you make good choices about how you eat, how you move, and how you think – you are set up for a healthy life. If you are looking to lose a few extra pounds this month, you are not alone. Many of our patients are working towards a similar goal. How you move, eat, and think every day will determine your success. All three are part of maintaining an active lifestyle. So where does Chiropractic fit in? Unfortunately, no Chiropractic technique takes off 10 pounds with each adjustment; but people just like you have been able to maintain a healthy weight by adding Chiropractic care into their active lifestyle. Research has suggested that periodic Chiropractic care can help evaluate, detect and treat emerging problems. So, by reducing injuries, you will be able to stay active and keep your exercise routine on track. Also, many people report reduced stress after getting adjusted. This makes sense because research studies have shown reduced muscle tension in the body after an adjustment. And finally, we firmly believe that healthy food choices make a significant impact on your body’s ability to be well and stay well. Eating healthy whole foods and sometimes even using select supplements can give your body the fuel it needs to get through the day. Join us for our Weight Loss Workshop March 26, 2019 at 6:15PM. Dr. Craig Hazel’s mission is to help families THRIVE. After graduating from Queen’s University with a Bachelor of Science and a Bachelor of Physical and Health Education, he went on to earn a Doctor of Chiropractic degree and a Bachelor of Science in Anatomy from Parker College of Chiropractic in Dallas Texas. He is passionate about seeing children and families in his private practice at Synergy Chiropractic in Kanata Ontario. 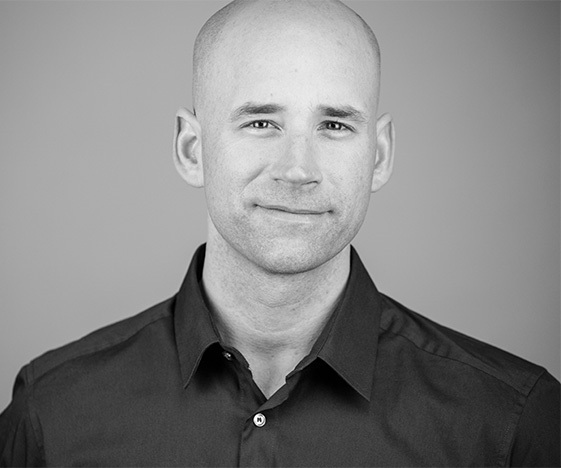 A sought after speaker, he has been featured regularly on TSN Team 1200, CTV and RogersTV.He is also the Chairman of the Alliance for Chiropractic of Ontario. “Are you pregnant?” No. “Really because at this angle it looks like a bump.” I promise you, I am NOT pregnant, just fat. I shared the below post on my personal Facebook page yesterday, and what I received back was an outpouring of love, support and encouragement, but also commiseration from women who have been or are there and are struggling. We’ve all been there in one way or another, and we all need to help each other out. Today is a day to reflect on mental health and the grip it can have on so many. This is going to be a bit long and a lot personal. I feel the need to reiterate a few of the MANY reasons to not EVER ask a woman if she’s pregnant. She may well be pregnant, but is not ready to tell anyone and now she feels awkward. She may not be, despite desperately trying to no avail for who knows how long, and now she wants to go cry in a corner. She may have recently suffered a miscarriage, is still trying to process it, and now she wants to go cry in a corner. She may not want kids at all but faces the constant pressure of everyone asking WHEN she’s going to have them instead of IF, and now she feels self-conscious about her choice. She may not be able to have kids, and now she wants to go cry in a corner. And last but certainly not least, she’s just overweight and now she feels awkward, self-conscious and wants to go cry in a corner. This last one is my experience and although I am strong enough to resist crying in a corner, I struggle every day to fight with the girl in my head that says I’m too big and I’m not doing enough. 18 months ago I gave birth by emergency C-section, and spent the better part of the next month attempting to navigate this completely uncharted territory of motherhood, all while trying to recover from my body being cut open and put back together, and the debilitating headache caused by CSF escaping the hole in my spine. I struggled from the beginning to produce enough milk and that proved even harder when my 2 month old ended up in hospital for 3 weeks. One of the best things for milk production you ask? Calories in. So I ate because I wanted to provide the best for my baby and I ate because I didn’t truly enjoy the first six months of her life. Around month 6, I started to love being a mother and spent all my time with her, especially the most peaceful time of the day, nap time. This left no time for myself, let alone exercise. This past fall I fell into a slump. A slump I consulted my medical doctor about. When I wasn’t working and had time to myself I spent it sitting, eating and struggling to motivate myself to move. Though I have embraced therapy many times for myself, this time I forced myself to take care of me. For the past 2 months I’ve worked out half an hour every day and I’ve made a conscious choice for the past 3 months to eat better, with occasional slips. But, I am still the heaviest I have ever been. 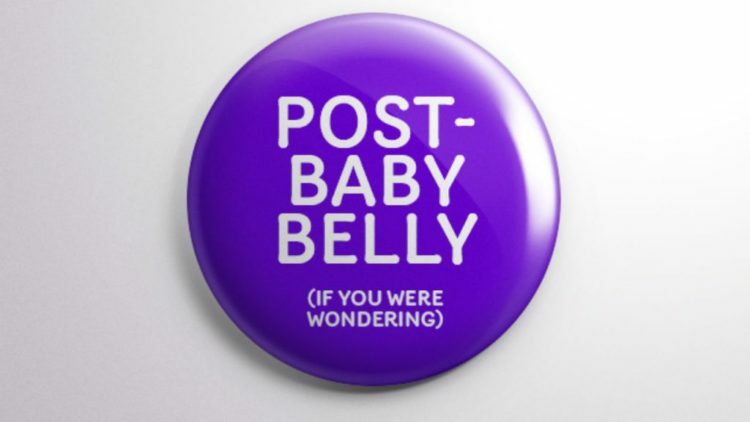 This week I was asked if I was pregnant and when I said no, they persisted by pointing out how the shape of my body would have led them to believe that. No. No baby. Just fat and unused muscle. I have gotten to a point where I still love myself despite my new size, and I’m ok with doing the best I can. I have the most beautiful little girl who lights up my entire life and I would do it all over again for her. Preparing and trying to conceive, carrying and delivering a baby, raising your first, second or fifth baby, or supporting your partner in any of these ventures, deserves effing SUPER HERO status. This job is THE hardest and what makes it even more difficult is what your mind and body go through as a result. As baby carriers, our bodies change drastically. And sometimes…most times…it is a colossal sized struggle to get back to “the way we were”, and the pressure to do so is undeniable. I believe we live in a world that is making it increasingly difficult to say with 100% conviction that “I am beautiful”, “I am strong”, “I believe in myself”, and “I am a good person.” I am eternally grateful that I was raised with a basic foundation of self-worth, and I have only built on that over 3 decades to be able to hear words like the above question and know that I am still more than good enough. There are women and men who are not this strong. There are teenagers struggling to get through the throes of high school. There are adults taking it day by day at the workplace or within their families. My daughter may or may not grow up having a certain level of strength to take on what’s out there, but I will fight every day to show her how beautiful she is no matter her size, looks or what anyone else says about her. I didn’t write any of this to garner sympathy but to remind us all to be CONSCIOUS of our words and our actions. You have NO idea what anyone’s story is, but we all have one. Share your story, it might entice someone to share theirs. And they may need a little of your support to get through the day. But they will be better off for it, as will you. Chiropractic and a wellness lifestyle changed her life. She had such an incredible experience and change in her health, that she decided she help change people’s lives. 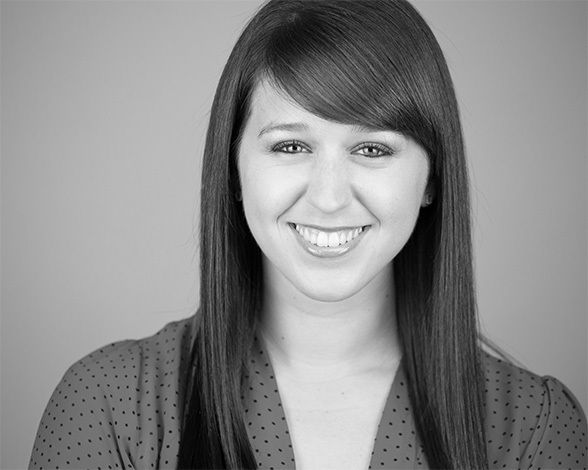 In addition to being the Director of First Impressions at Synergy, she is also a Certified Holistic Health Coach. When she’s not at the office, you will find her either at the gym kickboxing, or with my husband, Mike, and their 3 dogs. She is a philanthropist and founded a non-profit charity, Families First Community Cancer Support, which supports and provides financial relief to cancer-burdened families in the community. 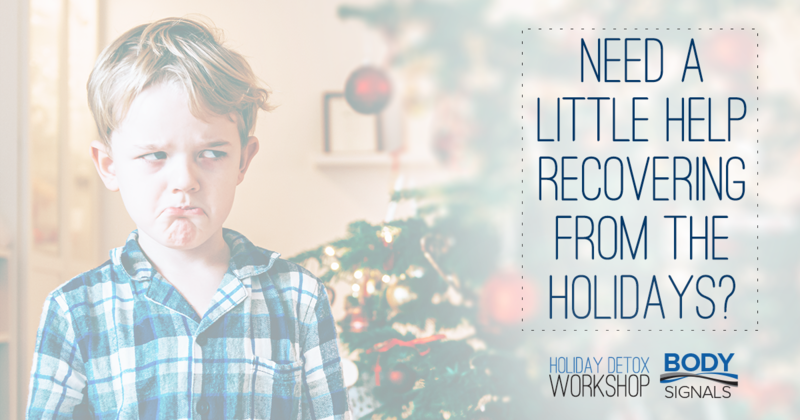 Holiday stress can carry over well into the new year. Are you overwhelmed by stress? 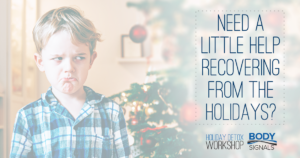 Got the Holiday Hangover from the recent holiday season? Well, you’re not alone. Studies show over 54% of people are concerned with the amount of stress in their daily life. Many of us carry this stress in our shoulders and neck. Muscle tension in our shoulders can contribute to headaches, neck and back pain. Chronic stress can lower your energy levels resulting in irritability, illness, and even depression. But, there is good news! 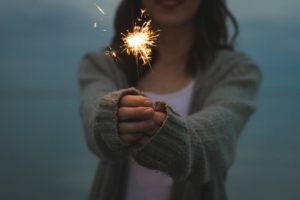 A few simple changes to your daily routine can help you dramatically decrease your stress level, boost your energy, and ultimately live a healthier and happier life. Keep reading to learn how. One of the best ways you can increase your energy levels and reduce stress is with motion! Our bodies are built to move. Improving spinal motion, or segmental motion is one the ways that chiropractic adjustments help you move and feel better. Research has shown that chiropractic adjustments can significantly reduce muscle tension in the shoulders, helping reduce pain, improve range of motion, and decrease stress! The best way to feel more energized? Stay active! Top research journals have shown that moderate exercise can increase your energy. A simple 10-15 minute walk can get your blood pumping and increase the oxygen coming into your body, helping you feel more energized and maybe even helping you shed a few extra pounds. which make you feel happier, while contributing to a better quality of sleep. Additionally, exercise helps train the heart to work more efficiently. Ultimately, your immune system will also function better with consistent exercise. In other words, exercise can not only help you feel more energized, but it can reduce your likelihood of getting sick. And combining a moderate exercise routine with chiropractic care may be one of the best ways to stay healthy and energized all year long. Don’t feel like exercising? You choose your pain. It’s either the pain of feeling terrible and living in so-so or poor health or the pain of getting up and exercising. The former results in more pain. The latter allows you the joy of experiencing something great later. Have you ever had a great workout and been miserable afterwards? Then let’s get moving and choose the ‘pain’ of exercising shall we? And another thing – stop feeling like it is an “ALL OR NOTHING” thing! Many people get caught up in the notion that you have to ‘kill yourself’ in order to get a great workout; or if you usually do 60mins and you only have 30 mins then it’s not worth doing. All exercise helps your body. Even if you have 10mins, you can get a great 10 mins of activity and feel great afterwards. Who doesn’t have 10 mins? Start with a simple calendar. Schedule at least three days per week that you can take a 10-15 minute walk. By putting the activity on your schedule, it’s more likely that you will follow through. Also, ask us about how chiropractic care may be able to keep you pain-free and on track with your exercise goals. We want to partner with you to make this year your healthiest and happiest year ever! Comment below – what are you committing to doing?